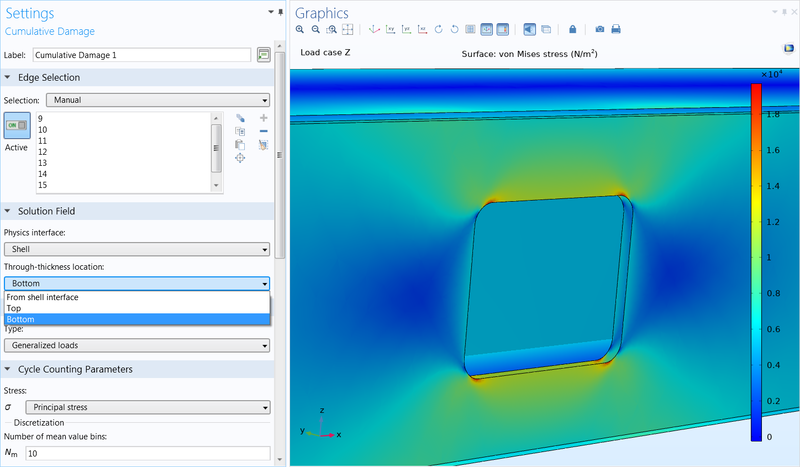 For users of the Fatigue Module, COMSOL Multiphysics® version 5.4 brings fatigue evaluation for membranes, mean stress correction, and improved fatigue evaluation for shells. Read more about these Fatigue Module updates below. Fatigue evaluation is now available for stress and strain results computed in the Membrane interface. Apart from being used in pure membrane models, this is useful for thin claddings. In particular, you can improve stress evaluation on free boundaries in solid models by adding a very thin membrane, which is only used for stress evaluation purposes. Using a 1-micron thick membrane layer for fatigue evaluation in a solid. It is well established that fatigue life is affected not only by the stress amplitude, but also by the mean stress. In the Stress-Life fatigue evaluation method, it is now possible to take mean stress effects into account. Three common methods are available: Goodman, Gerber, and Soderberg. Ratio between estimated fatigue lives with and without a mean stress correction. Regions with predominantly tensile stress will get lower fatigue life predictions. For fatigue evaluation in shells, two new options are available to directly specify that the stresses or strains should be taken from either the top or bottom side. The third option is the same as in previous versions — the through thickness position is taken from the default result location specified in the Shell interface. 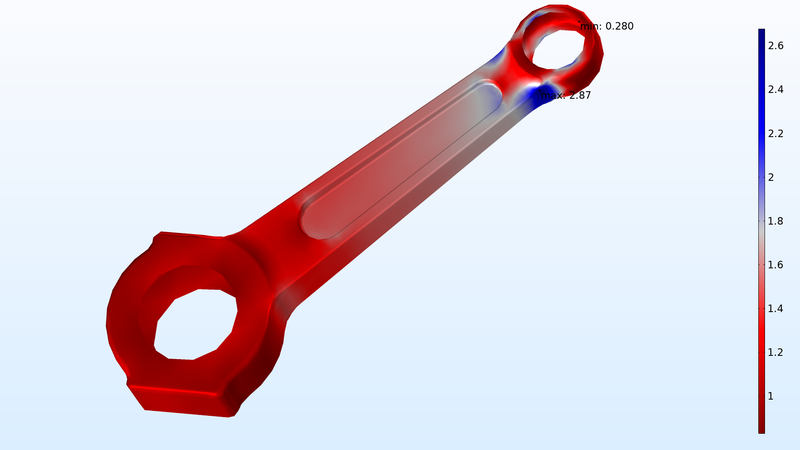 You can see this feature used in the Fatigue Response of a Random Nonproportional Load model. 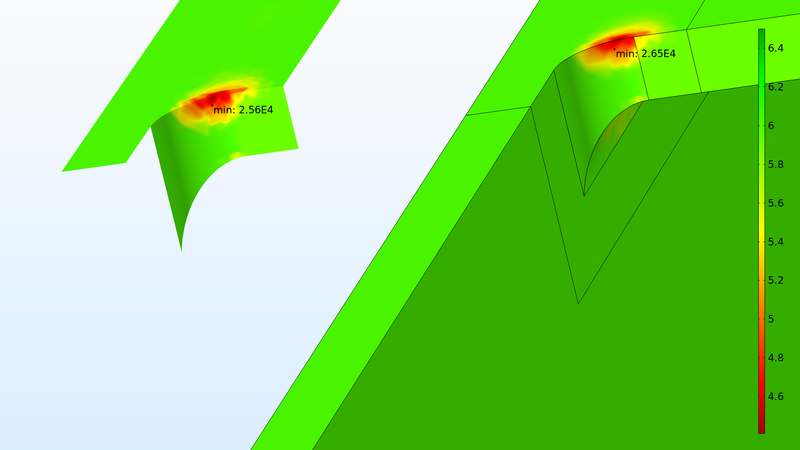 Shell surface selection in the Fatigue interface.